India registered a comprehensive 90-run win at Bay Oval to take a 2-0 lead in the five-match series. 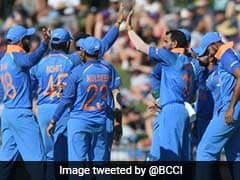 Kuldeep Yadav claimed four wickets while Rohit Sharma scored 87 off 96 balls as India thrashed New Zealand by 90 runs in the second One Day International at Bay Oval to take a 2-0 lead in the five-match series on Saturday. The left-arm spinner had claimed four wickets in India's first ODI win as well. 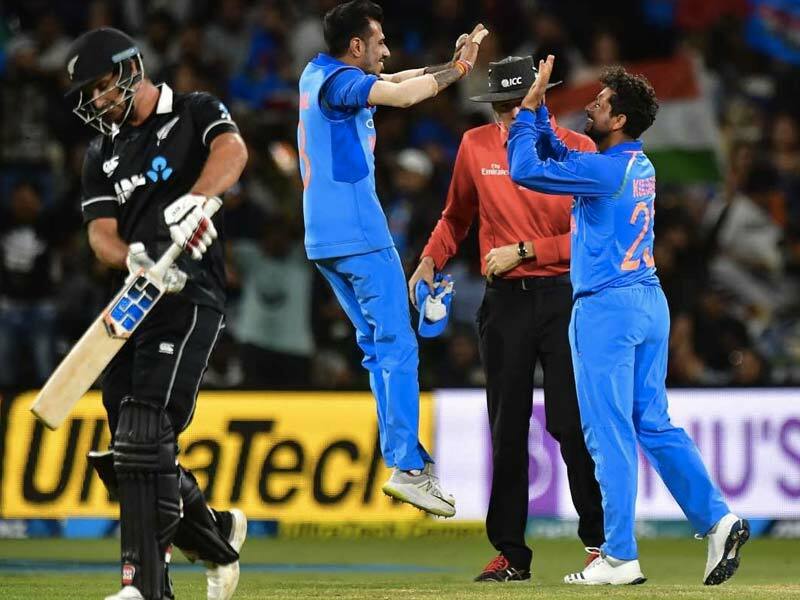 Some fine bowling by the New Zealanders in the final 10 overs helped them keep India to a score of 324 for four in 50 overs but proved too much for the hosts as they were bowled out for 234 in 40.2 overs to give India another comfortable victory. 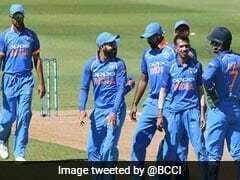 The Kiwis were denied a strong start with Bhuvaneshwar Kumar (2/42) and Mohammed Shami (1/43) bowling with a lot of discipline. Opener Martin Guptill (15) was the first to go off Kumar after two lucky escapes but New Zealand were dealt a heavy blow when captain Williamson was out in the eighth over after a promising start. The Kiwi captain hit Shami for two consecutive sixes and a boundary in the eighth over before chopping the fourth delivery onto his stumps. Taylor, who has an impressive record against India, and opener Colin Munro dealt in singles for a few overs but India got another breakthrough. Munro went for a switch-hit off a Chahal (2/52) delivery only to miss it completely and was adjudged leg before. 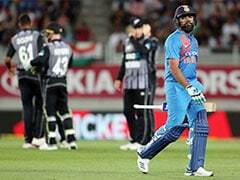 New Zealand were in deep trouble when Taylor was dismissed via an excellent effort by veteran wicketkeeper Dhoni, who whipped off the bails after Chahal beat the batsmen with his drift. Taylor thought he was in but replays showed his feet was not grounded when Dhoni completed formalities in a flash. 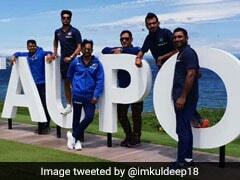 A run glut followed before Kuldeep wrapped up the New Zealand innings with a four-wicket burst. First, he had Tom Latham (34) trapped leg before in the 25th over and then had Colin de Grandhomme (3) two overs later to reduce New Zealand to 146 for 6.